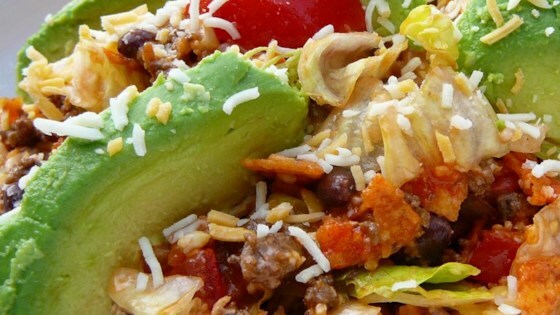 "A delicious refreshing taco salad with a tangy twist." If you prefer, you can add the chips just before serving to keep them crunchy. I prefer to let them marinate in the dressing. This is one of those meals you wish you had more room in your tummy. I've had many taco salads, but none to equal this one. The only change I made was cut the sugar in half.